Santiago de Compostela is the goal of the pilgrims who make the Camino de Santiago. Its historic center, declared a World Heritage Site, is made to get lost iN its streets and squares, where Romanesque, Gothic and Baroque buildings are interspersed. Its neuralgic center is the Plaza del Obradoiro with the Cathedral as the protagonist. Leave time to visit the Mercado de Abastos, walk through the Parque de la Alameda and give the palate the genuine Galician gastronomy. In the mouths of the estuaries of Arousa, Pontevedra and Vigo, the main ones of the Rías Baixas, a series of archipelagos of impressive cliffs, dunes, bushes, beaches and marine bottoms of great biological wealth unfold. From north to south we find Cortegada, Sálvora, Ons and las Cíes, which are the best known islands, where the famous beach of Rhodes stands out. Take a boat trip and enjoy a few hours of this natural paradise. The Camino de Santiago is the oldest pilgrimage route in Europe, in addition to the most frequented, which finds its goal in Galicia, specifically in the city of Santiago de Compostela. A good way to enjoy the landscapes, the localities, the people and the Galician gastronomy is to become a pilgrim for a few days and get going on the Camino de Santiago Portuguese of the Interior, the one on the Coast, Ría de Arousa, the Camino Primitivo or the English. From Cape Finisterre to the Portuguese border, the Rias Bajas occupy the west coast of La Coruña and the entire coast of Pontevedra. A unique maritime-land route, dotted with cliffs, lighthouses, beaches, islands and charming towns. Pontevedra, its capital, boasts an old town declared a historic-artistic site, but you should not miss places like Vigo, Combarro, Baiona, the dunes of Corrubedo, the fort of Santa Tecla or Cabo Home. From Cape Finisterre to the border with Asturias stretches a coastal strip of impressive beauty, where the estuaries of La Coruña, Ferrol, Ortigueira and Ribadeo stand out. The Rías Altas also have dreamy beaches, such as the unique Playa de las Catedrales, cliffs like O Cabo do Mundo and other natural areas of great interest such as the Fragas do Eume Natural Park. Culture lovers will enjoy in La Coruña, Ferrol, Ribadeo, Narón and, especially, contemplating the Tower of Hercules, declared a World Heritage Site. From Punta Roncudo to Cape Finisterre, the wildest coastal region of Galicia unfolds, for something they will call it the Costa da Morte. In this legendary territory, where once many shipwrecks occurred, there are places of great beauty and interest, such as Langosteira beach, Penedos de Pasarela Y Traba, Finisterre, Cabo Vilán, Muxía, Corme, San Xiao or Malpica. 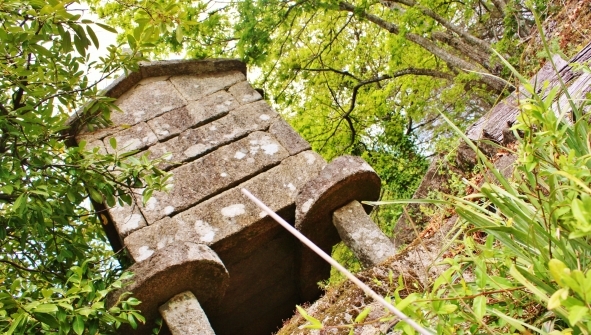 On the border with Castilla y León and Asturias, one of the most surprising places in Galicia is located: the Ancares. These mountains, which cross the east of Lugo, are declared a Biosphere Reserve and are an ideal setting for lovers of hiking. Its forests and valleys house numerous paths that, sometimes, exceed 2,000 m. Enjoy the green Galicia, with the presence of streams, waterfalls, small villages, castros or castles. Marked by the rivers Miño and Sil, which form beautiful canyons in its path, the Ribeira Sacra is a destination that mixes nature, culture and wine tourism thanks to its lush forests, its Romanesque monasteries and the quality of its wines. Among its villages, you can not miss Quiroga, Castro Caldeas, Monforte de Lemos or Portomarín. Enjoy the views in Cabezoás viewpoint, walk among vineyards and feel the spirituality in Santo Estevo de Ribas de Sil.